This recall involves EZY Gel Topical Anesthetic Gel. The recalled product was sold in 1 fluid ounce white bottles. 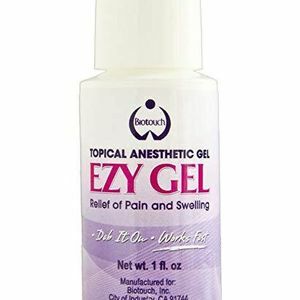 Biotouch Topical Anesthetic Gel EZY Gel is printed on a purple label located on the front panel. Lot numbers and expiration dates are located on the bottom of the bottle. Biotouch toll-free at 844-557-9023 from 10 a.m. to 4 p.m. PT Monday through Friday, email at recall@biotouch.com , or online at www.biotouch.com and click on Recall at the bottom of the page for more information.